This is a self-paced course you can do at home but we suggest you do it with an accredited teacher in a group near where you live. To find a teacher with a group in your area please click here. Path of Love is the second level. You must start with the Path of Light level first. Each level takes about 8 months to complete. Cost of regular group meetings with an accredited facilitator in your area will be an optional extra and paid directly to the facilitator. Key Teachings and Student Worksheet to finish. 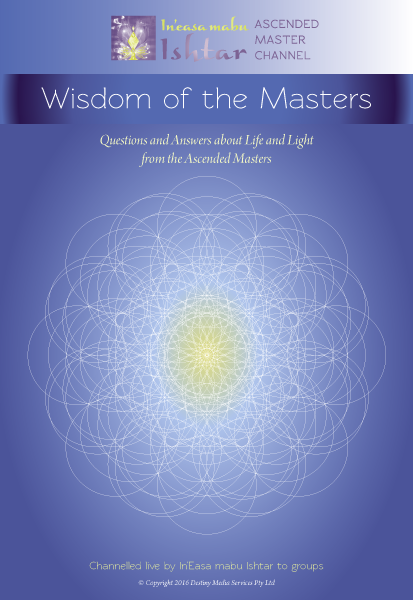 13 chapters about the Path of Love with practical information and guidance to follow. Tools of Assistance section with 17 chapters - Power of the Mind, Monads and Souls, The Light Body, Seven Lower Bodies, Five Higher Bodies, The Chakras, 12 Universal Rays, Karma, Universal Laws, Basic Energy Work, Resolving Aspects, Light Technology, Ascended Master Tools, Decrees, and Affirmations, Power of Mantras. If you order 2 or more packages you will need to pay double postage and handling costs. Please contact us via email. If you order 2 or more packages you will need to pay extra postage and handling costs. Please contact us via email.